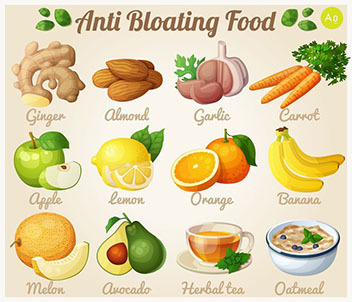 Garlic is that awesome food item and flavor enhancer without which every meal seems to be incomplete. But do you know with some easy sleazy steps growing garlic indoors is possible now. Keep on reading the article and now you can say goodbye to visiting the farmer’s market once you learn the methods of growing garlic. What are garlic fertilizer requirements? Before starting this article, you must be aware of the fertilizing requirements of garlic so that you would be able to produce good and nutritious batch of garlic. Garlic is known to be the seasonal crop. Most of you at this point may be wondering that: how long does it take garlic to grow? Most of the time the garlic crop takes around 120 to 210 days to fully mature and be harvested. By knowing so you would now know how important the fertilization requirements are. Basically the garlic crop is quiet heavy of feeder and that is why fruition of the garlic takes longer time. 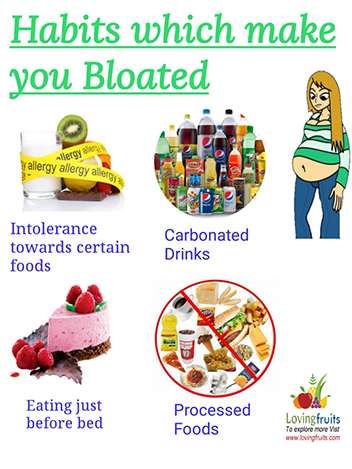 For this matter it is highly advisable to consider well about feeding from the beginning. 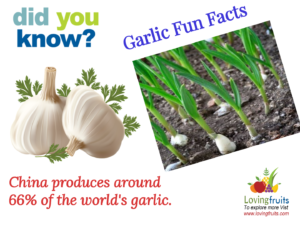 In many of the cases garlic bulb is to plant in late fall and in early winter. The plantation must be done 6 weeks prior to freezing. 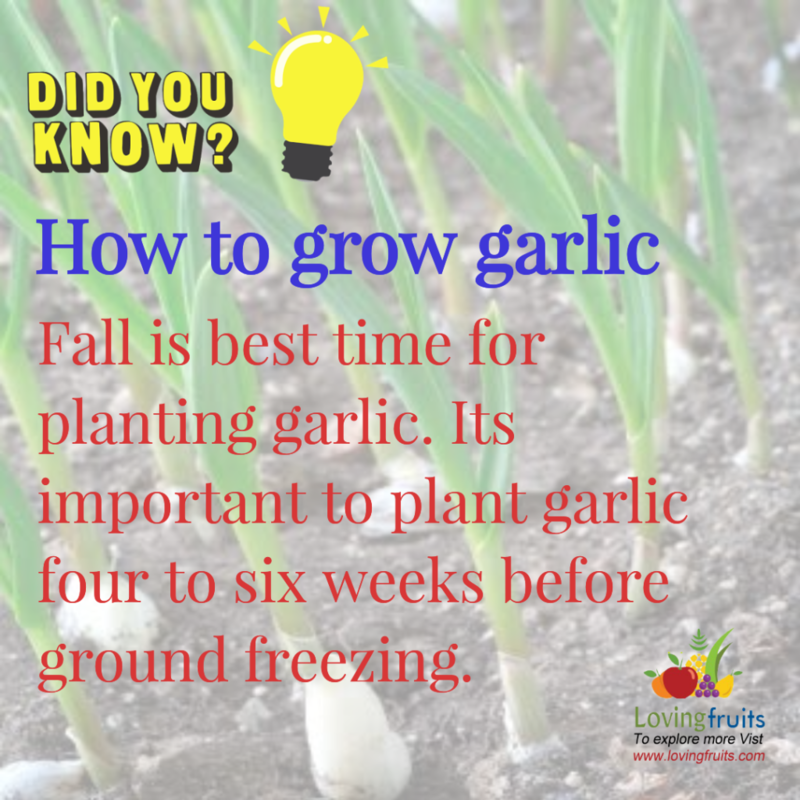 In the areas where the weather conditions are milder, the garlic can be planted in January or February that says early fall or late summer. Can you grow garlic in a pot? Although garlic grows on a plant which needs open air and loads of sun light, you can still grow it in any container indoors. But you have to be very considerate about watering the plant and also about the adequacy of light that your plant is getting. The head of the garlic which have been grown inside is not much developed but it is very delicious to the ones that have been grown in a garden. How to grow garlic at home indoors? This type of garlic has very mild flavor and is not in fact considered as true garlic. Some horticulturist also called as the bulbing leek. 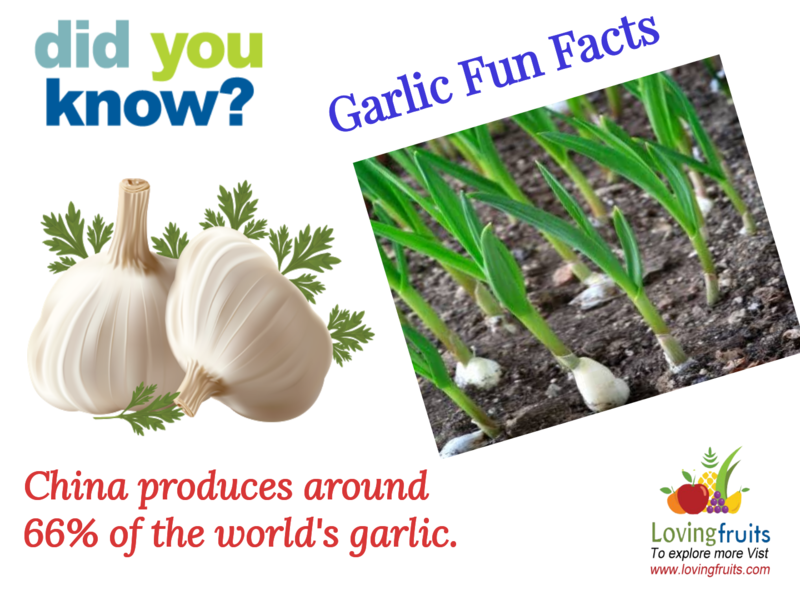 This garlic is well grown in areas with warm climate and milder winters. Each head of this breed garlic possess 11 to 12 cloves. The plant usually does not have flowers and is known as the best garlic. Right after you choose the variety to harvest it is time to choose the size of the bulb that is going down in to your pot. Pick the largest bulb of garlic that you find in the farmer’s market. Make sure that the garlic does not possess any sign of disease or mark on it. If you are wondering can you grow garlic from a clove? Well the answer is yes each clove of the bulb that you sow gives off a full head of garlic with at least 12 to 14 cloves each. Now after that it is time to prepare the bulbs of garlic to be planted. It is highly advisable to chill out the garlics few weeks before they are planned to be planted. Chilling them can actually improve the development of the bulb (you can also skip this step out but it helped me always in growing bigger garlics). Tip: in order to prevent rotting, soak all the cloves in a glass jar with equal ratio of baking soda to organic liquid seaweed. For 11 to 12 cloves take 1 tablespoon of baking soda and 1 tablespoon of organic seaweed, you will increase the quantity with more cloves. Before planting, make sure that the soil is at pH 6.5 to 7. For determining the pH you can use the detector. Use Mulch as garlic crops grows well in it. Mulch prevent the growth of weed, it provides protection and also maintains the moisture of the soil along with keeping soil cool for long hours. Too dry, wet or freezing soil is unfavorable for the growth of the garlic. The colder the temperature is, the deeper you should implant the mulch in the pot. Healthy rotation process in crop is good for so many reasons like prevention of disease etc. it is recommended not to plant garlic in a pot where you have grown any member of the allium family. If you have to reuse the pot then add fresh potting mix. If you are wondering: how do you plant a garlic clove? Then following is your answer. Right before planning separate out the heads of the garlic. Plant those cloves which are outside in a bulb. Dig a hole either with the help of a trowel or your hand which is twice as the depth of the clove. Clove is about 5cm/4 inches apart so ideally the hole is 10cm/ 8 inches apart. In order to prevent the cloves being pushed out right when the roots develop, press the cloves pretty firmly as you fill the pot back with the soil. Water the liquid seaweed well in to pot afterwards. Once the shoots are 5cm/2inchs in height, add mulch in the pot for avoiding the weeds. Keep watering your plants until the stem flowers or till 1 month before the actual harvest. Using a moisture meter, keep on checking the level of moisture in the soil which must be 40 to 50%. Be aware that the soil should be only wet and not moist. Always keep record of what and when you plant so that you remember the time of maturation of the crops. If you harvest early, your garlic will look more like onions. For soft neck varieties, harvest them when the bottom leaves starts falling off. If you are still not sure than take out one bulb and see if the crop is ready to harvest instead of pulling out all the crops in the pot. With gentle hands dig out your plant and do not use the garden fork as it can spear the garlic bulb. 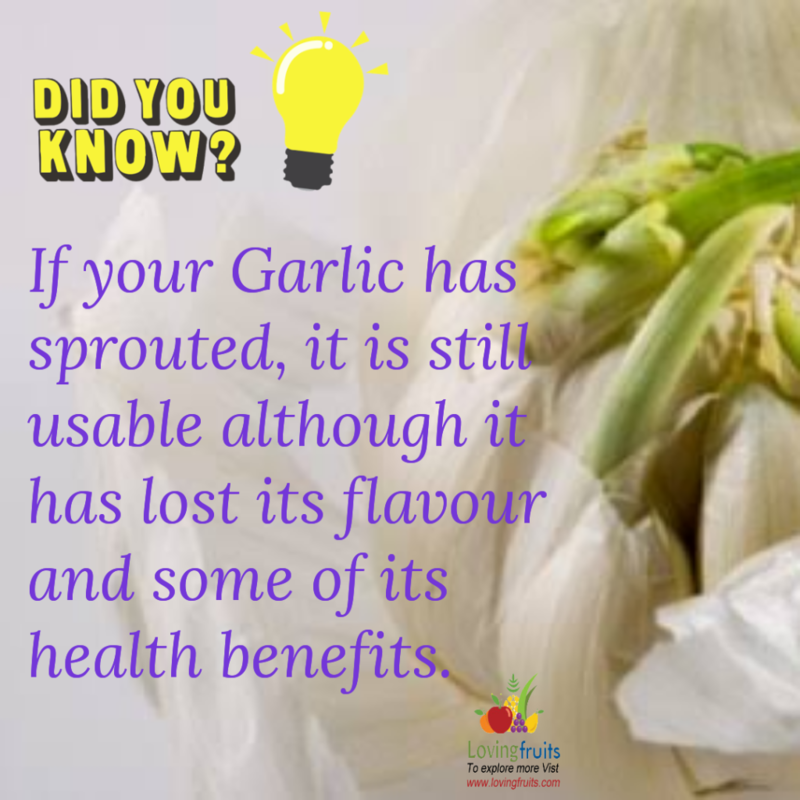 Do not immediately rinse of your garlic bulb, let the dirt remain for few days and if you need you can wipe off some with the help of a toothbrush. For storing the garlic well, hang it in an airy place. You can dry them up to 4 weeks or even more depending upon the climate of your area. Garlic is fully ready when the bulbs are crinkled and in papery form. So here are some tips for growing garlic, hope you have enjoyed it and you will definitely try this out at home as it is really simple. Garlic is one of the most loved flavor enhancer so far. But all the garlic that you buy form the grocery does not have the best of taste. In this article we have taught you the easy method of growing garlic indoors with a pot and a bulb. Remember that nothing is difficult even sowing and harvesting your own vegetables.